LIFT and Go. Beyond Carrying your MacBook. LIFT is not a stand, not a case nor a bag. Instead, it offers a new and comprehensive way of interacting with your MacBook. Stylish, protective and designed for your everyday life on the move. LIFT was inspired by the design of Apple Macbook. We believe that MacBook offers the most cutting-edge minimalist design in the personal computer industry. MacBooks are innovative, slim, sleek, and designed to use anywhere you go. We noticed that users often rely on conventional MacBook accessories which inhibit product mobility and reduce ease of use. Users typically carry their MacBooks using computer bags, protect them with sleeves/cases and adjust the height for viewing/typing/cooling with various stand models. Some users personalize their MacBook appearance with decorative tags and/or personal logos. Each product adds to the user experience, but when used in combination, often have a distracting effect on their MacBook product. This raised an important question for us. How can we offer users a product that ensures maximum MacBook mobilty, better user experience and unique personalization, all at the same time, and yet, maintain MacBook’s signature style? Our team took a closer look at current trends in technology and modern lifestyles. We noticed that the industry hasn’t delivered any innovative MacBook accessories since the first MacBook release in 2006. Looking closely at the design needs of MacBook users and rethinking the solutions needed to enhance user experience, we’ve decided it’s time to make some changes. Utilizing a comprehensive yet minimalist design, we finally propose an innovative way of interacting with your MacBook on a daily basis – the LIFT. Adjustable ergonomic height – always make yourself at home. LIFT raises your MacBook to the ergonomic height, providing the perfect angle for typing and viewing, adjustable for different user preferences. People who work on MacBooks for longer periods of time can simply slide the top handle of the LIFT and open the MacBook – LIFT will turn your MacBook into a comfortable workstation in no time. Airflow circulation resolves overheating issues during high-performance tasks. LIFT ensures an ideal height tilt for natural airflow circulation and quietly helps your MacBook to stay cool, even during high-performance tasks such as media editing or gaming. Therefore, LIFT enhances the total user-experience and prevents your MacBook from possible overheating damage. LIFT and go! Hustle free and flexible. LIFT provides you a whole new way of interacting with your MacBook, wherever you are. The unique frame design provides protection, a perfect viewing and typing angle, air circulation and dramatically improves carrying mobility. With LIFT you can simply close your MacBook and immediately pick it up and carry it with you. Think differently when using external screens. For designers and creators who use external screens at their workstations, LIFT provides a new way of handling your MacBook. Now you can hang your MacBook on the wall and free your work space. Also, the restylable LIFT covers transform your MacBook into an artistic statement piece, each cover piece blending seamlessly into the user’s environment. Aluminum frame protects your MacBook from those clumsy days. The LIFT frame is made of aluminum and is fitted with a comfortable carrying handle, ideal for users on the go. Each unit is height adjustable, allowing users to select their optimal work angle and offering stability for your MacBook. LIFT adapts to both MacBook design and production standards. The unibody aluminum construction and CNC milling ensures a slim body. LIFT design is light and easy to carry yet durable enough to handle daily usage. Restylable Covers – Style, check. Protection, check. To keep your MacBook safe, we designed different hardback restylable covers for everyday protection. Express your personality by giving your MacBook a new image, allowing you to play with different cover materials, colors and textures. Enjoy the 360-degree protection of your MacBook and expand your everyday user experience with a personalized and artistic touch. Port protection – Keep dust away from the ports. LIFT provides all angle protection for your MacBook, including the ports. The slide cover design for ports will keep out dust when you are not using your MacBook. Seamlessly matches your MacBook Design. Living up to the high standard of the MacBook, LIFT design focuses on every possible detail. No single screw can be seen on the exterior design of LIFT. By matching MacBook’s sandblasted and anodized finish, LIFT appears as if it’s a natural extension of your MacBook, light, durable and sleek. Using innovative lock design for easy set-up. The simple and intuitive LIFT design guarantees a 60 seconds only assembling process – no more hustle and no more complicated instructions. It also takes only a few seconds to change the cover matching your look of the day. With LIFT you’re always ready to go. Instead of using complicated pawls and springs, we designed LIFT by using NdFeB magnets to reduce the volume and increase the reliability of the mechanical structure. The original magnetic ratchet design allows LIFT to lock the screen height simply by opening your MacBook. LIFT contains only the essential mechanical components, making the most out of the limited space. It provides a user experience like never before. In order to achieve the reliable strength combined with the minimalistic exterior design, the traditional, low cost production processes (e.g. die casting, welding) would not fit our needs. Let’s take LIFT for MacBook 15” as example. LIFT aluminum frame is made from two solid pieces of aerospace grade aluminum metal. (400mm x 320mm x 15mm, Weight 2 Kg. Al 6061-T6). The high speed CNC machine eliminates 92% of the original material in 6 hours and one machine can only produce 4 LIFTs a day. In contrast to all the existing products available in the market, LIFT makes use of the most high tech materials and an explicit production process. Furthermore, LIFT goes through multiple sand blastings, anode and laser engravings to make sure LIFT keeps up the high standard of the MacBook’s exterior minimalist design. Thus, even though the production costs for LIFT are expensive, this is the only way to make LIFT the perfect match for your MacBook. Intuitive Design – A brand new user experience for MacBook. Slide the top handle of the LIFT to the desired height, and open your MacBook. Yes, it is simple and easy. LIFT matches MacBook’s minimalist finish and is seen as a natural extension of your MacBook, light, durable and sleek. Restylable covers offer protection and fit your everyday style. Moreover, the unique frame design provides protection, adjustable viewing and typing angle, air circulation and highly functional carrying mobility. LIFT lives up to the high standard of the MacBook and balances design esthetic with functionality. We are proud to say that: LIFT is the perfect design for all the MacBook users. “Does LIFT fit in the bag I have?” To answer this common question, we made the following demonstration with LIFT for 15” and some regular bags. ZENLET believes in the power of simplicity and creates innovative designs for everyday life. Inspired by the design of Apple MacBook, LIFT enhances your MacBook experience with mobility, protection, and style. We believe every Apple fan is eager to own a well-designed product that lives up to the standards of MacBook. We are now ready to impress all MacBook users with our most innovative and comprehensive design yet! LIFT will keep up with the new updates of MacBook Pro with retina display models. We will send out the survey to ask for the choice of the LIFT frame and cover colors, and which LIFT model for MacBook Pro you wish to receive. The survey will take place one month before shipping LIFT. Feel free to update your MacBook anytime before the survey if you wish to do so. LIFT is designed for MacBook Pro. We believe that every MacBook user deserves a better design than what is currently available on the market. However, the process of mass production of the LIFT is expensive. Since we do not have the resources to make LIFT for every MacBook model all at once we decided to focus on MacBook Pro first. Currently, we have perfect LIFT prototypes for MacBook Pro (13’ and 15’ with retina display models) and well-experienced manufacturers ready to go. LIFT will keep up with the new updates of MacBook Pro. Set up the production line for different covers with various materials. Further, invite your beloved artists and designers to create unique design covers for more choices! Start the factory modeling of LIFT. LIFT won’t happen without you backing us up. Please help us to make this project happen! At first glance, it looks an awful lot like the same MacBook Pro we’ve become accustomed to seeing over the last several years. The TrackPad is the first indication that something’s different here. It’s huge — twice as big as the last version. And thankfully now carrying the Force Touch technology. The company perfected with the last version of the standard MacBook. Perfectly mimicking the analog click to the point where it’s virtually indistinguishable. Touch bar MacBook Pro. MacBook perfectly mimicking. Butterfly Switch technology. We sell those. Apple new touch bar MacBook Pro, we provide to the clients. If you’re standing off to the side, you’ll spot the ports. Two Thunderbolts on each side, clean and uniform, and the balance is once again restored for the Apple aesthetic universe. Save of, course, for the headphone jack still located on the right side (for now, at least). The eagle-eyed might pick up the fact that the system is thinner — or that the screen is brighter, though it probably helps to have an older version right by it for sake of comparison. From there, however, you’ll pick out the key new feature, the row of function keys now lost to obsolescence, in favor of a thin, black, glossy strip. Apple new touch bar MacBook Pro, we sell these. The Touch Bar (a much catchier name than the rumored Magic Toolbar, mind) is, in a word, neat. Sure the company put the new feature through its paces onstage, but press conference demos and in-person usage are two different things entirely. The strip itself is glossy. Not quite slick, but frictionless enough so as to run a finger across with little effort. It’s a secondary Retina display, which mean it’s capable of displaying some fairly high-res graphics, in spite of the fact that most of what you’ll be interacting with will be big and button-like functionality. Click into Photos, however, and you’ll get little thumbnails that you can scroll through. Click into Safari and you get small images of the tabs you have open. It’s quick and responsive, reacting to multi-touch and the amount of pressure the user applies. It also adapts quite quickly as you toggle between different apps. It’s a really cool and really versatile new addition — like having a small mobile display embedded directly into the notebook. As with the onstage demo, most of what the Touch Bar functionality Apple was showing off post-event involved its own proprietary applications — though I did see a brief demo of Excel, which was, as with Excel itself, a bit complicated to grok during a quick walk-through. With its software, on the other hand, the functionality was largely intuitive. Apple new touch bar MacBook Pro, we are providing to the clients. I could see myself getting the most use out of music playback, which includes a lot of the functionality currently built into the function keys, along with track scrubbing — something else that will likely appeal to video editors. It’s not quite the Surface Studio, but it’s easy to see how the company is essentially using the second display as a surrogate for touch screens — something it has long refused to include in its line of computers. On a whole, color is used sparingly with the buttons, in-line with the keyboard itself, though some is used here and there to highlight some functionality — the flag in email is red, for example. Emojis, on the other hand, are a regular explosion of color. And they’ve invaded the MacBook in a big way. We’ve long been monitoring the continuously blurred line between MacOS and iOS, through features like Control Panel on the desktop. It’s continued here, but it’s happening on a front most didn’t predict: that tiny swath of real estate between the screen and keyboard. Like iOS, the Touch Bar pops up your most frequently used emojis by default. You can also scroll through them. The scrolling is quick and responsive, but I could certainly imagine it getting tedious when the time comes to pull up something more obscure. The keyboard, meanwhile, is similar to the version on the latest MacBook, featuring an improved version of the Butterfly Switch technology. It felt a little less soft, but unlike the trackpad, the company hasn’t quite mimicked the old-school keyboard. Granted, it’s hard to draw too firm a conclusion having only spent a small amount of time with it, thus far. Also worth a mention are the speakers, which have been noticeably improved over the last version. They’re both louder and richer. Apple calls them “room-filling,” though I listened to them in a pretty large room. So, more on that, along with everything else when review time rolls around. MacBook keyboard replacement Dhaka, the unique service provided by Apple Lab. Apple Lab is a complete solution for Apple products in Bangladesh. Original MacBook Pro 15 inch keyboard with backlight optional, UK, US or other layout. Original Apple replacement part. Replaced in the Store within 3 hours . And tested afterwards. Delivery available or pickup in the Store. Six months warranty. There is few different types of MacBook Pro 15 inch keyboards. We have all key boards. MacBook keyboard replacement Dhaka, the solutions for your key boards. We need to know which one you have before we agree to fix it. If you don’t know it, give us a call or send the serial number of your MacBook. After water spill you may be lucky enough. That your MacBook Pro still operates properly apart just few keys. Or whole keyboard being not functional. Unfortunately keyboard buttons cannot be individually repaired in others repair centers. We are able to fix some keys. The only solution in others is to replace the entire keyboard with the genuine Apple part. MacBook keyboard replacement Dhaka, a simple solution from Apple Lab. Sometimes when the keyboard got damaged, the backlight doesn’t work fully. Only some buttons can light up. Usually one part of the keyboard is brighter than the other. Let us know if you want to have the backlight fixed. There may be an additional cost involved. The price and part’s availability depends on your MacBook. Please check the serial number. Also, we need to know where did you buy your MacBook. There are different keyboard layouts. If you bought it in UK, US or other country. In most situations we can get your MacBook’s keyboard replaced same day. MacBook keyboard replacement Dhaka, just call and solved. Call us in prior to your visit. Make sure, we have time and all necessary replacement parts in stock. Please note, if the keyboard problem is a subject to the liquid damage, there is a chance that the liquid got inside the machine. If we notice it, we will contact you before we replace the keyboard. If you don’t know model. And year of your Mac, give us a call. Send us the Serial Number. You will be redirected to the Apple Support Check where you can check the hardware serial number. Other ways to identify your Mac is to look at the bottom of the device. MacBook keyboard replacement Dhaka, given the warranty on replacement. We replace all the keyboards. Like as MacBook Air 11 inch to 13 inch for all models. MacBook Pro 11 inch to 17 inch all models. MacBook all models. MacBook keyboard replacement Dhaka, the perfect solution of your keyboard. We are open in whole the week. No need to make an appointment. We are ready to help you all the time. MacBook keyboard replacement Dhaka, cost effective manner. Remove firmware password Dhaka, the unique service provided from Apple Lab. Mac users in higher security risk situations may wish to enable an optional firmware password on their machines. Which offers an advanced level of protection. In short, a firmware password is a lower level layer of security. That is set on the actual Mac logic boards firmware. Rather than at the software layer like file vault encryption. Or the standard login password. Remove firmware password Dhaka, the solution of whole Apple products. The result of setting an EFI password is that a Mac can not be booted from an external boot volume. Single user mode, or target disk mode. And it also prevents resetting of PRAM. And the ability to boot into Safe Mode. Without logging in through the firmware password first. This effectively prevents a wide variety of methods that could potentially be used to compromise a Mac. And offers exceptional security for users who require such protection. Like any other essential password. Use something memorable but complex. And do not forget a firmware password after it has been set. Remove firmware password Dhaka, the specialist on EFI remove. A lost firmware password is unrecoverable on most modern Macs. Without a visit to Apple Lab in Bangladesh. Or sending a Mac into Apple Support for service. And recovery. Remove firmware password Dhaka, easy remover of EFI. Older Mac models may be able to use a hard ware intervention method to bypass firmware passwords. But these methods are not possible on new Macs without access to removable batteries. Or memory modules, thus the visit to Apple. The firmware password will not appear during a regular restart. Or boot of the Mac. It only becomes mandatory when the Mac is attempted to boot from alternate methods. This may be in situations where a Mac is attempted to boot from an OS X installer drive. An external boot volume, recovery method. Single user method. Verbose method, Target Disk Mode, resetting the PRAM. Or any other alternative booting approach. That will summon the rather plain looking firmware password window. There are no password hints or additional details provided. Only a simple lock logo and a text entry screen. An incorrectly entered firmware password does nothing. And offers no indication of login failure except that the Mac won’t boot as anticipated. Note that all modern Intel-based Macs refer to firmware passwords as EFI (Extensible Firmware Interface) passwords. While older Macs referred to them as Open Firmware. The general concept remains the same, just different hardware. Most Mac users will find a firmware password an unnecessarily heightened security precaution. And using this feature is best limited to Mac users in higher risk. Environments where having maximum security is a requirement. Remove firmware password Dhaka, the perfect solution of your Apple devices. For the average Mac user, a standard boot login authentication. And screen saver password. is usually sufficient protection. While enabling file vault disk encryption. can offer additional security benefits to users who want their files. And data protected from unauthorized access. FileVault can also be used as a means of prevention manual resetting of account password. On Macs within higher security risk environments. But as several readers pointed out in the comments. The firmware protection should also be used in high security situations. Now the case is that unlucky you have forgotten the EFI. We the Apple Lab can remove the EFI. it is a simple matter that you can forget it. In this case you have to show your proper documents. Otherwise we are unable to do the job. We are expert on EFI remove. We, the Apple Lab has the qualified engineers on EFI remove. Remove firmware password Dhaka, the complete solution of your Apple devices. No need to worry. Your data and everything remain as usual. No need to make an appointment also. We are open at 24/7. Remove firmware password Dhaka, the perfect solution of EFI. Retina display repair Uttara Dhaka, the fastest service provided by Apple Lab. We offer express Same Day Service. For 13″ and 15″ inch, 17 inch MacBook Retina Screen repair & replacement in Bangladesh. Get your MacBook retina screen replaced today on the same day with affordable price. We also offer MacBook retina screen replacement all around the country. We use genuine Apple Parts. Offer 12 months warranty on parts and life time warranty on installation. We are a company that is functioning all over the country of Bangladesh. Retina display repair Uttara Dhaka, cove the whole country. All that you have to do is let us know where you are located. And this is enough for us. Whether you what us to come to your company. And replace the screen there. You want us to do it from our own workshop. It is not a problem for us. We love to make sure that our customers are satisfied with our services at all times. Retina display repair Uttara Dhaka, the simple solution of your retina screen. At Laptop screen replace we can replace your MacBook Retina screen with same day at no extra cost. We use genuine Apple Retina screen assemble to replace your damaged screen. Which means we will replace the whole top part assemble (include covers lid and hinges) with a brand new part. The new part comes with 12 month warranty and labour warranty. Retina display repair Uttara Dhaka, the fastest repair service in Bangladesh. We offer the fastest service and most competitive price in Dhaka and Bangladesh wide. Get a free estimation or call over our phone numbers. Speak to one of our MacBook retina screen repair expert. Retina display repair Uttara Dhaka, a complete solution for your MacBook. Not only the MacBook this will active for all of Apple devices in Bangladesh. Not only the above we cover all models of MacBook and MacBook Pro. Retina display repair Uttara Dhaka, the perfect solution of your retina disply. Apple issues fix Dhaka Bangladesh, service has been provided from Apple Lab. As professional you are using the MacBook Pro or iMac. If you are searching for a competent and Apple repair specialist. You have come to the right place. Because we repair component level issues of any Apple machines. 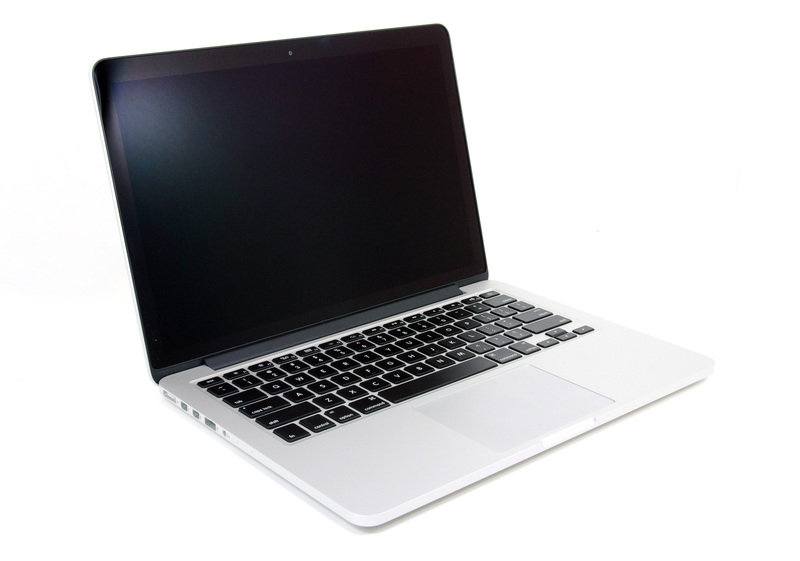 Our technicians specialize in repairing and maintaining Apple Macbook Pro laptops. iMac and Mac Pro or Air. Apple issues fix Dhaka Bangladesh, have the all accessories of Apple machines. We able to get you back up. Running should your Macbook have problems. Unlike some other computer repair center who may work on a MacBook once a year. Our team specializes in Apple products. Therefore you can be assured that you will get the best quality service that you can get. Besides offering you MacBook repair services, we have serviced countless MacBook computers. Apple issues fix Dhaka Bangladesh, cover all issues of Apple machines. Electronic devices made by Apple, such as the iMac, PowerBook, Mac Mini, iPod and iPhone. The MacBook which allows it to deliver robust. And reliable performance even while running the most demanding applications. Such as video editing software by MacBook Pro or iMac. As it is an Intel based Mac, the MacBook also supports not only the Mac OS operating systems. But also allows users to install Windows. And to select which system should be booted during start up. This gives users far more flexibility in case they need to run applications which are not available for Mac. Apple issues fix Dhaka Bangladesh, the solution for all Apple machines. Our Apple MacBook Pro, iMac, Mac Pro or MacBook Air repair specialists can help you configure your system for optimal performance. Including installing multiple operating systems. Device drivers for your peripherals, software setup. Helping you connect your MacBook Pro or iMac to the internet or your company’s network. Apple issues fix Dhaka Bangladesh, the simple solution of your Apple machines. Apple Lab can also fix software issues such as software conflicts. Error messages and system crashes. To keep your data safe. Our specialists can back up the files on your hard drive to an external media. Such as a CD, DVD, or USB flash memory stick. If a hardware component on your MacBook Pro or iMac or any Apple machine has failed. Our specialists carry all kinds of replacement parts. Such as logic boards (motherboard), hard drives, LCD screens. And optical drives, to ensure that your system is back up. Running as quickly as possible, without having to wait weeks for a replacement component to arrive. Apple issues fix Dhaka Bangladesh, the perfect solution for your Mac. To find a Mac specialist in your area, simply visit our website at www.laptoplabsbd.com or www.laptoplabbd.com. Apple issues fix Dhaka Bangladesh, the complete solution of your Apple machines. Apple repair shop Dhaka Uttara, program has been provided by Apple Lab. We the Apple Lab in Bangladesh the oldest Mac repair center having the experience on Mac specially any Apple devices. We offer the best place to repair Apple production in Bangladesh. The staff at Apple Lab is the best repair service in all around Bangladesh. Because we provide a great care to the client. We provide great customer service. Apple repair shop Dhaka Uttara, cover whole Bangladesh. We also have locations all around the Country. And this is what makes our service different than any others in the country. Many repair center around Dhaka have a very poor idea how to repair Mac or Apple computers. If you have looked for Apple repair centers in Bangladesh than you know they are either very expensive. They know a little how to fix Mac or Apple machines. These repair centers employ engineers that not know how to repair Apple computers. But we have the technicians that get the job done correctly. And smoothly without hassle. Apple repair shop Dhaka Uttara, have the qualified engineers. We at Apple Lab and our certified engineers have a lot of knowledge about MacBook. And any other Apple machines. And we offer a lot of different services for Apple users specially. We work only on Apple machines. We repair iMac computers quickly.We fix Mac Pro and we know what we are doing. We can fix your MacBook Pro. iMac Intel, We also repair iPod devices including iPod Shuffle. iPod mini, iPod Touch, iPod Nano and iPod Classic devices. Apple repair shop Dhaka Uttara, cover all sorts of repair and replace. We also fix all models of the iPhone and iPad. We fix all Apple machines. Apple repair shop Dhaka Uttara, the perfect solution for your machine. We are able to fix hardware problems in addition to software problems. So, if you can’t figure out why your iPod or iPad has a sad face on the display then contact Apple Lab. Because our services will take care of the problem and fix your iPod or iPad. If you crack the screen on your iPhone. And don’t know what to do then we at Apple Lab can fix the problem. Apple repair shop Dhaka Uttara, the easy solution of all Apple devices. If you are having any problems with any Apple device . And need repair then you should allow us to handle your repair. Because we are the best place to handle to repair Apple device Dhaka in Bangladesh. Apple repair shop Dhaka Uttara, the simple solution of your Apple devices. Apple Lab is the only place that you will ever need to handle an Apple repair in Dhaka. Because of our technicians and the people behind our services will get the job done right. We offer repair services for all Apple products. And they repair devices quickly and inexpensively. Don’t spend all that money on a new iPhone or iPad or any Apple device. Because we at Apple Lab will fix the problem. And your Apple product will be working like new. Use us for all your repairs, we have the experience to get the job done right. Apple repair shop Dhaka Uttara, the complete solution of All your Apple devices. Buy MacBook Pro Air Dhanmondi, the clear choice for the clients. The MacBook seller in Bangladesh provided from Apple Lab. When you want to buy a new computer Apple Lab is the first choice. There are a lot of different MacBooks are here at Apple Lab for sale. Just choose one of them and make it your companion. Once you decide on the Apple brand, you still have to decide if you want a desktop computer. Or laptop. And then decide how new, fast and even the size you want for your new computer. Buy MacBook Pro Air Dhanmondi, have all the MacBooks at stock. The past few years, popularity of laptops has grown. And Apple has expanded their product line of Apple laptops to accommodate the spike in demand. Currently there are some different Mac notebooks available through Apple Lab. There is the MacBook Air and the MacBook Pro in the stock. At Apple Lab in Bangladesh we have the stock models of each kind of MacBook Pro and MacBook Air. At present now we have some MacBook Pro for sell. Also some MacBook Air. 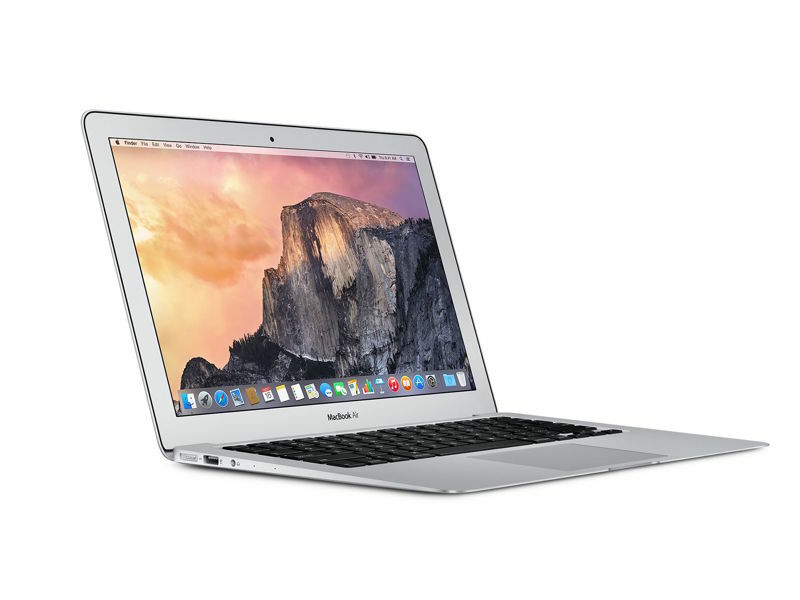 Buy MacBook Pro Air Dhanmondi, the low pricing seller of MacBooks. The MacBooks lying with the Apple Lab are very fine in condition. We are selling first come first get basis. So no late come today to buy these. Buy MacBook Pro Air Dhanmondi, the MacBook seller in Dhaka. Please call us and see our machines. We think that price is not a factor. We know if you visit us you must buy. Because of that our high configured machine and low pricing. Here below the configuration of the MacBooks lying with us. We have stock of MacBook Air. The configuration is as MacBook Air 11″. Model 2015. Processor core i7. Storage 120 GB SSD. Memory 8 GB. Box conditioned. Price is low but the machines are high configured. This device has been come out as one of Apple’s most popular throughout the years. Because of how user friendly and portable the notebook is. The model comes in both 11-inch and 13-inch size options with different built-in configurations. The MacBook Air also stands out from the rest of the other ultra portable notebook computers because of its long battery life. Fast flash storage. And it is under three pounds. Buy MacBook Pro Air Dhanmondi, have the stock of MacBook Air. We have a stock of Macbook Pro 13 inch and 15 inch. The configuration of MacBook 13 inch is as below. Macbook Pro 13 inch. Display Retina. Model 2015. Processor core i5. Memory 8 GB. Storage 250 GB SSD. Fine in condition. The configuration of MacBook Pro 15 inch is as below. MacBook Pro 15 inch. Display Retina. Model 2014. Processor core i7. Memory 8 GB. Storage 750 GB SSD. Very fine in condition. If you are more of a power user with your laptops then the MacBook Pro might be the best option for you. Currently available in both 13 and 15-inch options. The MacBook Pro is the high-end model from Apple’s lineup of notebook computers. The MacBook Pro was originally released in early 2006 as an upgrade option to the PowerBook G4. The aluminum laptop was known for being a heavy-duty laptop that could outperform many of its competitors. The newest models come with a Retina display. But the MacBook Pro was previously available with glossy or anti-glare options as well. MacBook Pros have more powerful Intel processors, fast memory, advanced graphics. And more storage, making it a great machine for the advanced or heavy user. With all the MacBook Pro has to offer it can be little more expensive in price. However, you can save money by buying a refurbished MacBook Pro. To see what we have available in stock go www.laptoplabsbd.com or www.laptoplabbd.com or you can contact over the phone numbers are available on 01715240008 or 01722257922. Buy MacBook Pro Air Dhanmondi, sells all types of Apple devices. We shall the the stock within a very short time. Because we have a large number of clients. So if you want buy one of these MacBooks please contact at above numbers. Buy MacBook Pro Air Dhanmondi, the highest MacBook seller in Bangladesh. What’s included in this sale? Other than that, the laptop is in excellent cosmetic condition. Beautiful actually. Only very tiny scuffs around the edges, and on the bottom. The wall charger is in FAIR condition, it has discoloring but no tears or anything, it is genuine. The battery cycle is only 40! Wow! HDMI Port, Two Lightning Ports. Please note that this model was discontinued as a standard configuration on October 27, 2016, but it still is possible to custom configure the entry-level model with a faster 2.4 GHz processor, effectively making it the same as this previously standard model. The MacBook Pro “Core i5” 2.4 13-Inch (Early 2015 Retina Display) features a 14 nm “Broadwell” 2.4 GHz Intel “Core i5” processor (5287U), with dual independent processor “cores” on a single silicon chip, a 3 MB shared level 3 cache, 8 GB of onboard 1866 MHz LPDDR3 SDRAM (which can be upgraded to 16 GB at the time of purchase, but cannot be upgraded later), 256 GB of 4 Lane PCIe-based flash storage (standard prior to October 27, 2016), and an integrated Intel Iris Graphics 6100 graphics processor that shares memory with the system. It also has an integrated 720p FaceTime HD webcam, and a high-resolution LED-backlit 13.3″ widescreen 2560×1600 (227 ppi) “Retina” display in a case that weighs just less than 3.5 pounds (1.58 kg). It does not have an internal optical drive. In addition, this model has a backlit keyboard, a clever haptic-capable “Force Touch” trackpad and an internal, sealed battery that provides an Apple estimated 10 to 12 hours of battery life depending on use. Compared to its predecessor, this model looks nearly identical externally, but it has a more advanced processor and architecture, more advanced graphics processor, faster RAM, a faster SSD, and a higher capacity battery as well as the aforementioned more advanced “Force Touch” trackpad. What are all the differences between the 13-Inch “Early 2015” Retina Display MacBook Pro models? What are the differences between these models and the “Mid-2014” models replaced? What are all the differences between the 13-Inch “Early 2015” and the 15-Inch “Mid-2015” Retina Display MacBook Pro models? Apple iMac repair Dhanmondi Dhaka, the sure success repair center provided by Apple Lab. Do you need Apple iMac repairs fast? Well Apple Lab can help! We have covered nationwide whole repair only on Apple devices. Who are able to help you by dealing with a full range of services to get your computer back in great condition quickly. Apple iMac repair Dhanmondi Dhaka, the simple solution for your iMac. It doesn’t matter what kind of iMac computer repairs you need. Apple Lab is capable to repair your iMac with satisfactorily to you with the expertise required to fix your iMac. The range of Apple Mac repairs that you can get assistance with through Apple Lab includes screen. And casing replacement, repairs to hardware, software. And hardware upgrades, water damage repairs, recovery of lost data. And much more. Apple iMac repair Dhanmondi Dhaka, covered all types of repair. We know that in the modern world, you don’t want to be without your laptop for long. And so we have Apple iMac repair center listed all over the country who offer walk in services. If you prefer to send your laptop for repair. You can find our websites repair center too! Our aim is to get you the most convenient iMac computer repair services for your needs. When you need iMac computer repairs, you want a repair centre. That you can trust and that offers a professional. And quick service. With Apple Lab, that’s exactly what you get, and the process is really easy. Apple iMac repair Dhanmondi Dhaka, the perfect solution for your iMac. We’ve designed our service so you can find what you need in the way of Apple repairs in a jiffy. Just take a look at how simple it is! To get started with your Apple iMac repair. Simply type your needs and find us. And choose your computer. When you hit the search button, we’ll show you all of the repair sectors. That offer Apple Mac repair services in your local area. And we will be picked up with your iMac. You can clearly see the phone number. And location of the repair centre at a glance along with the distance from your location. The websites also show what kind of services are offered by our repair centre. So you can either request a quote or use our walk in. Mail in or call out services whichever suits you best! Apple iMac repair Dhanmondi Dhaka, the fastest solution of your iMac. It’s the fastest and easiest way to get your iMac computer repairs. And that’s why we’re so popular throughout our country. Wherever you are in Bangladesh, from Chittagong to Dhaka, Apple Lab are able to put you in touch. With someone who has the knowledge, expertise. And experience to provide professional reliable repairs to your computer. That way, you won’t be without emails, internet, Facebook, Twitter and files for too long. In some cases, you can get your computer back the same day! Apple iMac repair Dhanmondi Dhaka, the easy solution for your iMac. So, for all your Apple iMac repairs, trust Apple Lab. the leading website in Bangladesh to get in touch with Apple computer repairs experts. Apple iMac repair Dhanmondi Dhaka, the complete solution of your iMac.